One of the most practical and useful applications of database marketing for a business to business company is to determine their Next Best Product (NBP). The NBP is a guide for the sales force. Typically, the sale force tries to get companies to buy more of what they are already buying. That makes sense, and is logical and easy to do. What many salesmen have found, however, is that their best customers are “maxed out” in certain categories. They are already placing all their orders for a category with this one supplier, and pressures to buy more may not be effective. So what else do you sell to this company? Suppose that you have 40,000 different products in your catalog. Which ones do you push? 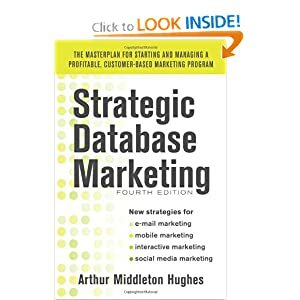 Up until the advent of database marketing, the answer depended on intuition, observation and luck. To these three, we can add one more: Next Best Product Analysis. Next best product analysis will tell you what to sell to whom. It divides customers into similar buying groups, examines what each group is buying now, and then scores each customer by their relationship to the sales of other members of their group. It can be a very powerful guide to the sales force. For a business-to-business application, how do you go about determining the “Next Best Product” for each of your customers? Let us assume that you already have a database with your customers and their purchases for the past two years, and that you have overlaid your file with SIC codes, number of employees and annual sales. This data can be obtained from D&B. Your first job is coming up with meaningful SIC (Standard Industrial Code) categories. For each SIC group, determine your total sales. You may have to do some grouping to get something to work with. You will end up with a small group of meaningful SICs. Then I would categorize the final SICs by number of employees or annual sales, using one or the other, depending on your preference. We can divide them into three categories such as under 400 employees, 401 to 1000, and over 1000 employees. What this table says to the sales force is that for the XYZ company, the Next Best Product to sell them is Pipe, and that their annual sales to this company could amount to $42,000 per year, based on the purchases of other similar companies. The customer database can produce numbers like this for every company. They can be given to the sales force. Each salesman can be measured not only on total sales, but on their ability to increase sales into these conquest categories.